This Deluxe kit contains a high quality Pipers' Choice Regular practice chanter (A-153), practice chanter reed, and a Major A.M. Cairns "How To" Learn the Bagpipe Book with CD. This kit has been specifically designed for a beginner in mind. 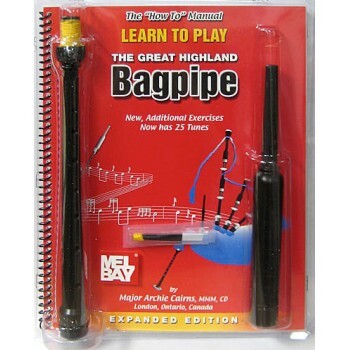 This deluxe kit is recommended over cheaper kits because of the quality of the practice chanter that is in the kit.